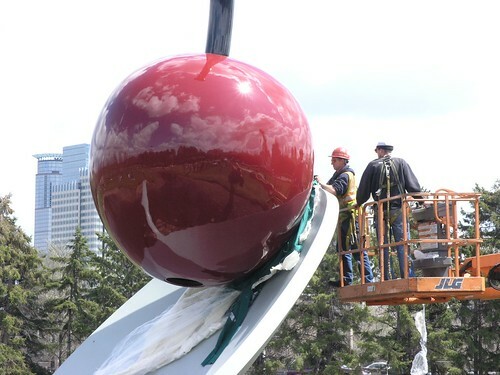 This morning and early afternoon, the cherry was placed back atop the spoon, once again completing Claes Oldenburg’s Spoonbridge and Cherry. 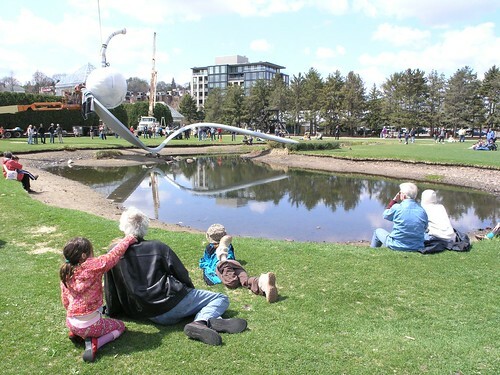 It was a beautiful spring day, and made for great weather to watch the process. We also live-tweeted the process, and there are some photos in our twitpic stream.